Easy Clean, Beautiful Skin Starts Here: Use Precision Eyebrow Tweezers that allows you to easily clean your hair. There are more advantages compared to other tweezers. High Quality Precision Eyebrow Tweezers: Stainless steel sloping tip design, Durable, Easy to clean, No rust, You no longer worry that the tweezers will soon be damaged. This is Most Practical Gift: Gift him or her a stylish Eyebrow Tweezers, So that they no longer worry about the messy hair. 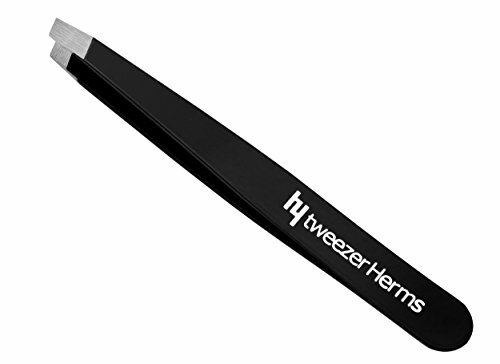 Perfect and Practical Tweezers: Can grasp fine hair, Easy to pull out, Without using a lot of strength, Will not cut off hair. This is its biggest advantage. Trusted Tweezers: Risk free, To give you a 5-star Professional Stainless Steel Slant Tip Tweezers, You deserve to have.